“Mini 4WD workshop class” will be held at Mini 4WD handling store. 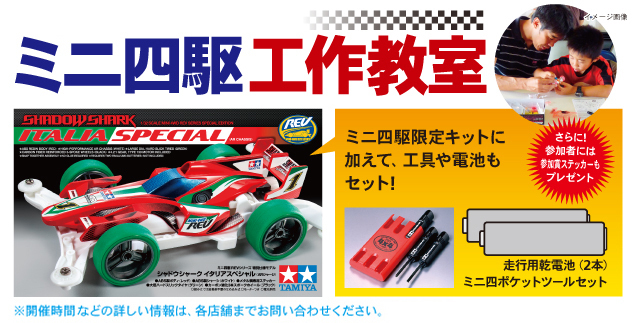 We also have “AA batteries” for traveling on “tools” such as “Mini 4WD Limited Kit”, Driver etc. so that people who are the first to assemble can participate easily. “Participation Award” is given to those who participated. This entry was posted in Event Report on December 28, 2016 by admin.